Daryl is the founder and Chief Executive of Ludger. He gained his doctorate in structural analysis of biological oligosaccharides at the Glycobiology Institute, University of Oxford in the 1980s, was a consultant on biopharmaceutical glycoprofiling to Monsanto and G.D. Searle and helped spin out Oxford GlycoSciences (OGS) from the University. OGS was the third high-technology company to spin out of Oxford University and specialised in glycoanalysis products and services for biopharma. 1. Biopharmaceutical realisation. This centres on glycotechnologies and streamlined Quality-by-Design (QbD) workflows for development and production of safer, more effective and more affordable glycoprotein therapeutics. 2. Medical glycomics for chronic diseases. The main activities in this area are development of glycomics-based methods for early warning identification and stratification of chronic diseases (CDs). Daryl's emphasis is on five main groups of CDs: metabolic and endocrine disorders, inflammatory conditions, cardiovascular diseases, cancers and degenerative diseases of the brain. 3. Precision healthcare. This includes development of a framework for effective and affordable selfcare pathways for increased healthspan by slowing or preventing progression of chronic diseases. The aim is to provide a model of true preventative healthcare that can deliver lasting improvements in the health trajectories of individuals at population scale using lifestyle medicine. The current focus is on self-care pathways for diabetes prevention focussing on Type 2 and gestational sub-types of diabetes. These models will be exploited via a collaboration with Avenna Ltd - a sister company to Ludger. In addition to glycotechnology, Daryl has keen interests in medical applications of graph theory, human evolution and ethnobiology. He's also more than slightly obsessed with fat bellies (i.e. central adiposity) - where they come from and how to get rid of them without fuss. Paul joined Ludger in 2017 with twenty years’ industrial experience predominantly in the Medical Device industry, with a bias towards Operations & Engineering. Paul worked for Abbott in the Diabetes Care Division and for ArjoHuntleigh in the Patient Handling, Pressure Area Care & DVT sector. He has a Bachelor’s Degree in Chemical Engineering from Leeds University and also completed an Advanced Course in Design, Manufacture and Management (ACDMM), University of Cambridge. Paul’s previous experience has covered the negative aspects of sugar having worked in the sugar industry and in the diabetes space. Paul is excited at the prospect of working with sugars in a positive aspect and showing how Ludger can help human healthcare. Claire joined Ludger in 2009. As Head of Business Development she is responsible for developing client relationships, following up new business opportunities for Ludger services and products, directing Ludger's marketing campaigns and overseeing global Sales. In addition, Claire can be contacted to set up contracts including CDAs and Service Agreements. Claire has a background in immunology, gaining a PhD at The Royal London Hospital Medical College (University of London) and with Post Doctoral experience at the Anthony Nolan Bone Marrow Trust (the Royal Free Hospital, London) and the Immunopathology Department at St. Bartholomew's Hospital, London. Claire also worked for several years at the scientific events company EuroSciCon where she was in charge of Marketing and PR. Dhiren joined Ludger in November 2017. He has a Masters in Advanced Biomedical Science (MSc) and in depth practical and theoretical knowledge regarding the bio-technical effects of drug release within the human body. As part of the Business Development team, Dhiren will help us to find new business partners for Ludger and contact existing clients to foster long term relationships. Having joined Ludger in 2015, Matthew is responsible for digital marketing and website management. He has previous experience in website development, design and art, and a BFA in Photography from OCAD University in Toronto, Canada. Matthew works closely with Claire Morgan to shape and implement digital and print campaigns, to help make visible the expertise and vision of Ludger. This includes the continuous development of the website and also design and production of Ludger’s product and marketing documents. 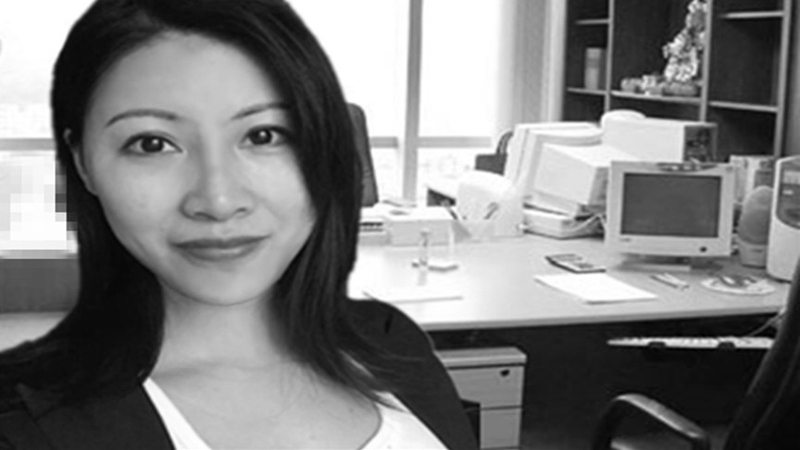 Cindy is responsible for processing Chinese customer orders and preparing them for shipment. She keeps in touch and follows up with current and prospective customers to see if they have any additional needs or concerns. Lily is responsible for sales of Ludger services and products, also directing Ludger China's marketing development. She is dealing with process Chinese clients' orders and their technical problems. She works closely with current and prospective clients to find out their potential needs. She has a background in Biochemistry and molecular biology. Rad joined Ludger in 2008. As Head of Glycoprofiling Analytical Services Rad is responsible for managing and directing contract glycan analysis. He has over 10 years of experience in analytical glycobiology in HPLC/UPLC, MALDI-MS and LC-ESI-MS analysis of O-glycans, N-glycans, glycosphingolipids and glycosaminoglycans. At Ludger he has worked as a Scientist and Senior Scientist within development and glycoprofiling teams and was involved in the development of new techniques for glycan release and derivitization for MS and HPLC/UPLC and biopharmaceutical glycan profiling. Rad obtained his Master of Science degree in Organic Chemistry at the University of Warsaw, Poland in 2007. In 2016 he gained a PhD in Glycobiology from the Biomolecular Mass Spectrometry Unit, Department of Parasitology of the Leiden University Medical Centre in Leiden, The Netherlands. During his PhD he was involved in the development of rapid and sensitive methods for the analysis and identification of O-glycans. Jenifer has been working at Ludger since 2014. She has more than ten years of research experience in organic and carbohydrate chemistry. Before joining Ludger, Jenifer worked as a post-doctoral researcher at the National University of Ireland in Galway, where she was involved in the collaboration of a multi-disciplinary team who were using a structure-based approach to design carbohydrate-based anti-adhesive therapeutics. During her PhD at the University of Guelph, she was involved in the development of conjugate vaccines from synthetic carbohydrate antigens. Jenifer has an expertise in spectroscopic, analytical and separation methodologies for the both the purification and structural characterization of carbohydrates. At Ludger, Jenifer is involved in developing new techniques for glycan and glycopeptide analysis for MS and HPLC platforms. She is responsible for the large scale design, synthesis and purification of glycan labelling agents. She is also a member of the glycoprofiling team, performing glycan analysis of biopharmaceuticals and biological samples. Paulina gained a Master's Degree in Biotechnology at Wroclaw University of Technology in Poland. Her previous experience gained from the Institute of Immunology and Experimental Therapy of the Polish Academy of Sciences involved studies on phage proteins and their impact on the exopolysaccharides of pathogenic bacteria. Paulina joined Ludger as a R&D Scientist in 2013 and has been involved in a number of projects that contribute to the improvement of Ludger's glycoanalytical services covering N- and O-glycan release, enzyme-based characterisation, derivatization of glycans and glycopeptides and analysis using orthogonal analytical platforms including UHPLC, Mass Spectrometry and microplate assays. Now a Senior Scientist, Paulina also works as a member of Glycan Analysis team, providing commercial exploitation of techniques focused on glycosylation analysis of biopharmaceuticals and biological samples. Daniel has over 24 years of experience with HPLC and mass spectrometry-based techniques for analysis of complex carbohydrates. Having joined Ludger in 2003 Daniel oversees the development of new tools for glycan analysis as well as directing the Grant-funded activities of Ludger. Daniel is a Principal Investigator in several pan-European PhD research consortia with responsibility for coordinating the training of Early Stage Researchers in both their technical and complementary skills. Daniel gained his PhD in 1997 at the University of Nottingham working on mucin O-glycans. He then worked at University College London for several years on a project to reduce the immunogenicity of a cancer therapeutic and performed N-glycan analysis before moving into the field of mass spectrometry in industry. Concepcion (Conchi) joined Ludger in 2010 as a Marie Curie Fellow within the Seventh Framework Programme (FP7) EuroGlycan Arrays Project. Currently, she is a Senior Scientist at Ludger working within the Development team. With extensive experience in chemistry she is involved in the development of new techniques for glycan and glycopeptide analysis for HPLC and MS platforms, including the synthesis of new potential dyes, as well as in method development that contributes to the improvement of Ludger's production and glycoanalytical services including high throughput Sialic Acid analysis. She also has been involved on the quantification of Lurdger’s glycan standards using NMR, sialic acid analysis and monosaccharide analysis. Conchi studied Chemistry at Jaen University (Spain) where she also obtained her Master's Degree. She gained her PhD in Organic Chemistry at the Institute of General Organic Chemistry-CSIC in Madrid (Spain). Richard joined Ludger in 2005 as a Senior Scientist and has over 13 years of experience in glycoanalytical chemistry and analytical glycobiology. As an integral part of the Development team, he has been developing methods for enzymatic and chemical glycan release for UHPLC, LC-ESI-MS and MALDI-TOF analysis of biopharmaceutical glycoproteins (including mAbs (IgG and IgE), FSH, EPO, HCG and biosimilars) and glycomics samples (blood and plasma). He leads the High Throughput Analytical group and has developed and implemented a GX-mAb glycosylation service (HTP glycoanalysis of antibodies) for biopharmaceutical clients, as well as a HTP method for the analysis of inflammation biomarkers within plasma which is being used in Ludger’s Precision Medicine programmes. Richard is also responsible for glycoanalytical work for R&D collaborations. Richard works within multiple grants funded by the EU (including High Glycan FP7, IBD-Biom, GlyCoCan, GlySign and A4B), and is responsible for training and supervising scientists and PhD students to enable them to perform glycoanalytical techniques and automated methods. Richard gained his doctorate in Bio-organic Chemistry at the University of Leicester with a post-doctoral position in Organic Chemistry at the University of Central Florida and previous industrial experience at Evotec in their Process Research and Development department. Bas has close to 10 years of experience with glyco-bioinformatics, as well as 5 years of experience with hands on glycosylation analyses using chromatographic and mass spectrometric techniques. Having joined Ludger at the beginning of 2017 Bas has been responsible for implementing automated and high-throughput techniques for analysis of Ludger’s bioinformatic and instrument data. Furthermore, he has been involved in the training of various PhD students and research staff and the supervision of cohort data analysis. For instance, the majority of the data and statistical analyses of Ludger’s biomarker discovery work has been in his care. Bas gained an Applied Informatics degree in 2006 from the Hague Applied University. He then gained a BSc. degree in Biology from the University of Leiden (2009), followed by a MSc. degree in Life Sciences & Technology from the University of Amsterdam (2011). He acquired his PhD in Applied Glyco-bioinformatics from the Leiden University Medical Center in 2017, where he focussed on developing new experimental and computation methods for the high-throughput analysis of N-linked glycans and glycopeptides. Bas has been involved in various European (e.g. High Glycan, IBD-BIOM) and national (Horizons) research grants, and enjoys working in the area between industry and academia. Archana obtained her Master's degree in Biochemistry from Bangalore University in India. Currently, she is a Senior Scientist at Ludger working within the Development team. 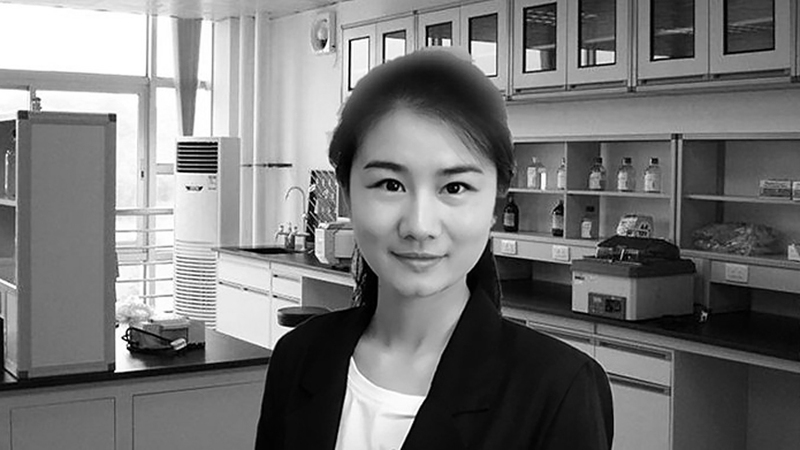 Her research involvement and accomplishments have been the implementation and development of high throughput analysis and robotization for N-glycan release, glycan derivatization and analysis using orthogonal analytical platforms. She has been involved in market research, communication with other consortium members and project coordination/management of some of Ludger’s research projects and grants. She is currently pursuing her PhD in collaboration with the Department of BioAnalytical Chemistry at Vu University, Amsterdam, The Netherlands under the supervision of Dr. Daryl Fernandes and Prof. Dr. Manfred Wuhrer. The title of her PhD thesis is 'Method development for the discovery of glycosylation biomarkers of inflammatory diseases'. Manuela obtained a Master of Pharmacy from CEU San Pablo University (Madrid, Spain) in 2015. She worked at GSK in the Molecular Biology department within the R&D division investigating the substrate specificity of an essential Trypanosoma brucei deubiquitinase by SDS-PAGE, as well as at Roche and UCB in Drug Safety. She joined Ludger in May 2018 as a Marie Curie Early Stage Researcher under the A4B consortium (an EU Horizon 2020 research and innovation programme) under the supervision of Dr. Daniel Spencer (Ludger Ltd, UK) and Prof. Manfred Wuhrer (LUMC, The Netherlands). Her Ph.D. is entitled ‘Automatable and high throughput techniques to determine site specificity and quantification of N and O glycan profiles of EPO and TNF-antibody’. Daniel Demus graduated in 2016 with an MSc in Biotechnology from the University of Life Sciences in Lublin, Poland. During his master studies he spent 12 months as an intern in the QA/QC department at Merck, Darmstadt, Germany. He joined Ludger in February 2017 as an early stage researcher under the GlySign project (an EU Horizon 2020 research and innovation programme) under the supervision of Dr. Daniel Spencer (Ludger Ltd, UK) and Prof. Manfred Wuhrer, (LUMC, Netherlands). His PhD is focused on multi-platform high throughput analysis of early-onset diabetes patient samples, using orthogonal LC-MS, MALDI and plate based enzymatic approaches. Javier holds a bachelor’s degree in Chemistry from the Universidad Nacional de Colombia, where he worked on the chemical synthesis of biological active peptides (2016). After graduation he received a scholarship to take part of the 9th edition of the Erasmus Mundus master’s in quality of analytical Laboratories (EMQAL) which was hosted by the Universidade do Algarve (Portugal), and the Universitat de Barcelona (Spain), (2016-2018). This program combined the technical and managerial modules needed for the quality management system of an analytical laboratory. He joined Ludger in March 2019 as a Marie Curie early stage researcher under the NanoCarb consortium. His work will focus on the isolation of glycans from natural sources and their use for nanoparticle production. This work will be jointly supervised by Dr Daniel Spencer, Dr Jenifer Hendel, Mr Simon Peel, and Dr Marco Monopoli (RSCI, Ireland). The majority of time will be at Ludger Ltd (UK) for glycan purification and analysis, with planned secondments at Warwick University (UK) and the RCSI to receive training related to the derivatization and characterization of nanoparticles. Max studied at the University of Bologna, Italy and obtained his Master of Science degree in Health Biology in 2016 investigating the phenomenon of the uptake of Bovine Vitronectin (bVN) in cancer cells induced to apoptosis or regulated necrosis, the processing of bVN deriving from proteolytic activities associated to the apoptotic cells and the uptake of human Vitronectin (hVN). He joined Ludger in April 2016 as a Marie Curie Fellow within the GlyCoCan project and is currently working on "Automated techniques for assessment of O-link based novel glycan associated biomarkers from colorectal cancer tissues" under supervision of Dr. Daniel Spencer. Alan Moran graduated in 2015 with a BSc in Genetics from University College Dublin. In 2016, he obtained a diploma in Biopharmaceutical Operations at the National Institute of Bioprocessing Research and Training (NIBRT) in Dublin before being employed there as an Analytical Scientist for a period of 9 months. In 2017, Alan joined GlySign under the supervision of Prof. Dr. Manfred Wuhrer, Dr. Guinevere Lageveen-Kammeijer (LUMC, NL), and Dr. Daniel Spencer (Ludger Ltd., UK). He will spend a significant proportion of his PhD at each institution where he will focus on the analysis of the glycosylation of prostate-specific antigen (PSA) in prostate cancer in order to improve patient stratification. For this purpose, Alan is exploring the usage of a variety of separation techniques (LC/CE) and the on-line coupling (ESI) to mass spectrometry (Q-TOF/FT-ICR), as well as the development and validation of a clinical assay. His scientific interests include the translation of proteomic and glycomic research to the clinics and industry. Osmond Rebello obtained an M.Sc. in Biochemistry and Molecular Biology from Bremen University, Bremen (Germany). He has also worked as a technical assistant at the Nano-SIMS facility of the Max Planck Institute, Bremen (2014-2017). His GlySign PhD project is entitled 'Plated-based enzyme assays for IgG Fc analysis for patient stratification in auto- and alloimmune diseases'. His project takes place at Ludger Ltd (UK) under the supervision of Dr. Daniel Spencer. An extensive period of his PhD project will be spent at the Center of Proteomics and Metabolomics at the Leiden University Medical Center in Leiden (The Netherlands) under the supervision of Dr. David Falck and Prof. Manfred Wuhrer. He has also spent a seven week period on secondment at Newcastle University with Drs David Bolam and Lucy Crouch. His scientific interests are protein Biochemistry, glycomics and proteomics, mass spectrometry, chromatography and structural biology. Christel is a Neuroscientist and Psychologist. She gained her doctorate in Clinical Neurology and Neuroscience from the University of Oxford, specialising in the role sleep plays in brain plasticity and memory formation. Before this, she completed her clinical psychology training in Denmark at the University of Aarhus. 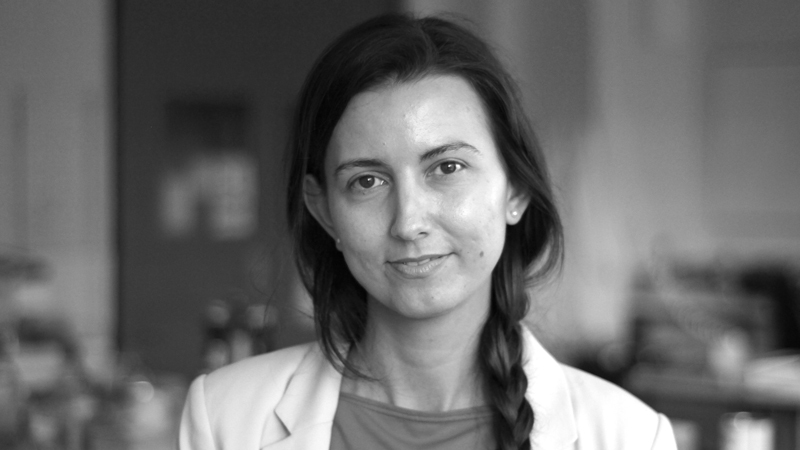 Christel currently works on the development of new precision medicine approaches and technologies at Ludger and leads its recently launched Human Performance Lab. Carol joined Ludger in 2005. As Head of Production Carol ensures all Ludger glycotechnology kits and reagents are manufactured to a consistent high standard and that stock levels are maintained. She is also involved in shaping the production procedures for new products, working with Development and Business Development to support the transition from Development to a finished product. Carol also liaises with all activities including Sales, QMS, H&S and process improvements. She was previously Laboratory Manager at Ludger and Cancer Research UK, and has worked in Production and Glycoanalytical services at OGS. Simon joined Ludger in 2009. He has extensive experience as an analytical chemist, having spent many years in the pharmaceutical industry and also as a HPLC Service Engineer. At Ludger, Simon leads the Glycan Production team which manufactures a wide range of glycan standards using different protein purification techniques. 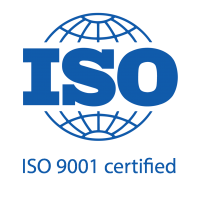 His group is also responsible for QC of all Ludger’s kits and reagents (in accordance with ISO 9001:2015). Simon liaises with the Head of Production, Development and also Business Development. Bhaven joined Ludger in September 2017 and is involved in the production and glycan analysis of products within the company. His scientific background includes working as a QC technician for Sigma-Aldrich after studying at Coventry University for his Master’s in Biotechnology and his Bachelor’s degree in Biological Chemistry from Coventry University. Dave works within the Glycan Production team as a Protein Purification scientist. He joined Ludger in 2012 and current responsibilities include the release, production and analysis of glycans. His previous experience includes a Degree in biology followed by several years of pathobiology work and nearly a decade of molecular and cell biology research at both Reading and Oxford Universities. Motunrayo (Mora) works within the Glycan Production group evaluating and developing new protein purification methods, glycan production and performing QC analysis. She has many years’ experience in biochemistry and biomedical science. Mora spent 5 years working at Wolfson Gene Therapy Unit, University College London in a MHRA licensed GMP facility and Quality Control laboratory producing genetically modified viral vectors for pre-clinical and clinical studies. Also, her previous experience in proteomics involved the study of cytokine isoforms in cancer cell lines at the Rayne Institute, Department of Medicine UCL. Andy is responsible for processing all worldwide customer Sales orders, preparing them for shipment and solving any shipment issues. He also ensures the smooth running of the Purchase order and goods receipt/issue side of the business. Magda deals with general accounting including journal entries, maintaining balance sheet schedules, ledgers and bank reconciliations. She is also responsible for applying accounting principles and procedures to analyze financial information, prepare accurate financial reports and statements and ensure appropriate accounting control procedures. Kirsty supports the Finance Manager with day to day tasks such as SAP data entry including invoice, incoming/outgoing payment and entering expenses. Also assisting with Payment runs, customer statements and Credit control. John is responsible for the maintenance of our Laboratory equipment, the building fabric and running the non scientific services. John has more than 20 years experience as a Facilities manager for a varied range of organisations from pharmaceutical companies to central government.